Woolworths has announced that it has introduced Farmers’ Own milk, “sourced directly from dairy farms in the Sunshine Coast hinterland”, across 194 stores in southern Queensland. Woolworths buys Farmers’ Own milk directly from farmers rather than through a processor. The brand is only available in Woolworths supermarkets. Queensland is the fourth State to roll out the highly successful Farmers’ Own brand, following a trial with dairy farmers from the Manning Valley on the north coast of New South Wales led to it being sold across that State. Australian Food News reported in October 2014 that Woolworths had expanded its Farmers’ Own milk brand to Western Australia, with the milk sourced from farms in the Margaret River region. 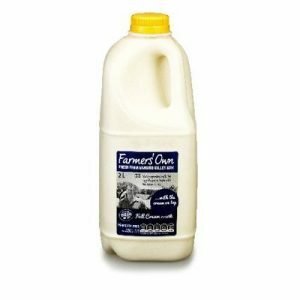 Australian Food News reported in December 2014 that Woolworths had expanded the Farmers Own branded milk to Victoria, with milk sourced from the Otways region. Woolworths said the milk is “permeate free” and is available in three varieties: full cream and low fat homogenised milk and full cream unhomogenised milk with the cream on top. Woolworths Head of Trade – Chilled, Paul Turner, said the product has proven to be “great for farmers and great for Woolworths”, and has been successful with Woolworths customers. 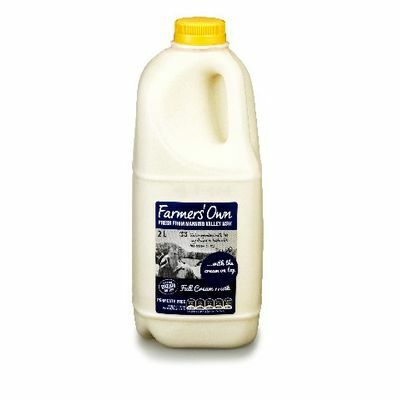 “Farmers’ Own is a fantastic, great tasting milk that we know Queenslanders will love,” Mr Turner said. “Local varieties in other states have been extremely popular and we know it’ll be just as popular here in southern Queensland,” he said. Mr Turner said that the milk would initially be available as far north as Woolworths’ Rockhampton stores, but that the supermarket group was looking to expand the brand to Far North Queensland as well. “We’re looking for a local farmer and processor in Far North Queensland to serve our customers in that area,” Mr Turner said. “The whole idea of Farmers’ Own milk is to support local farmers so we are working hard to cover the whole state,” he said. Dairy farmer, Lucas Kennedy, said the Farmers’ Own milk brand has meant he can “deliver a great quality product straight to customers”. “All farmers want to see a fair price for what they produce,” Mr Kennedy said. “We’re sure that Woolworths’ customers want to see farmers getting a fair go Farmers’ Own milk gives us a direct relationship with both Woolworths and customers. In the end, our customers get a great products we really stand behind,” he said. Woolworths said the relationship gives farmers “end-to-end transparency from shed to shelf”, a long term contract and a “closer relationship with their customers”.